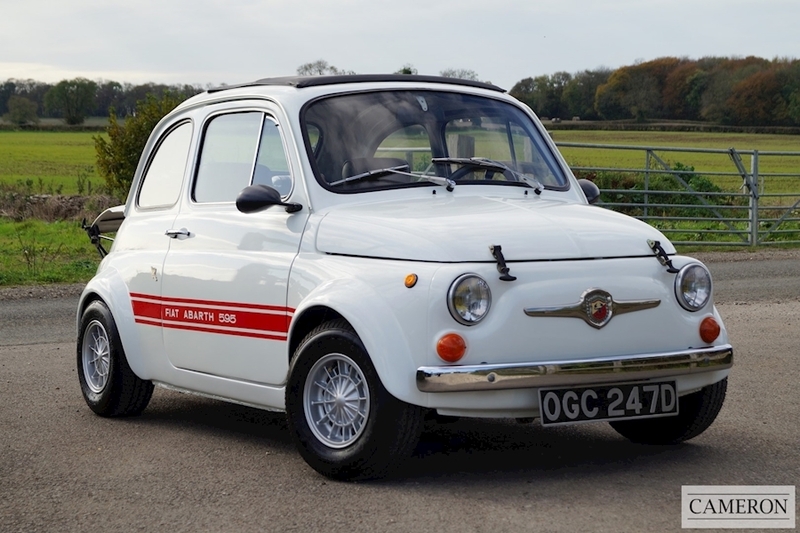 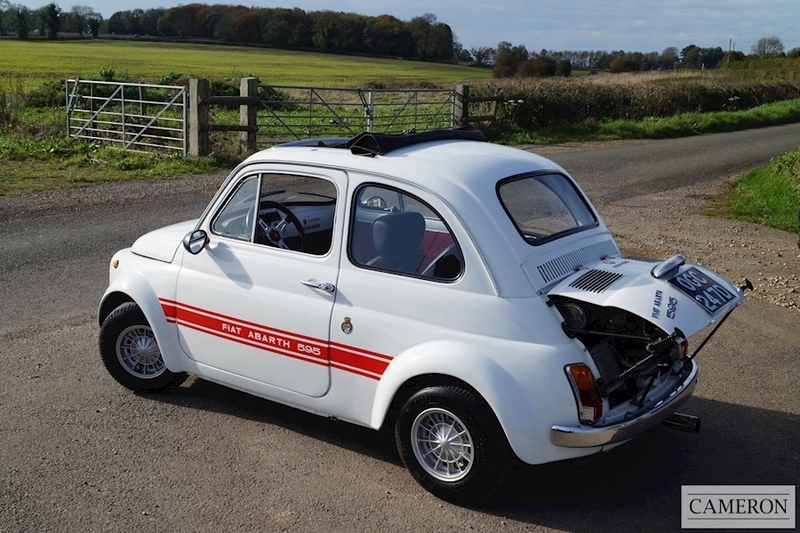 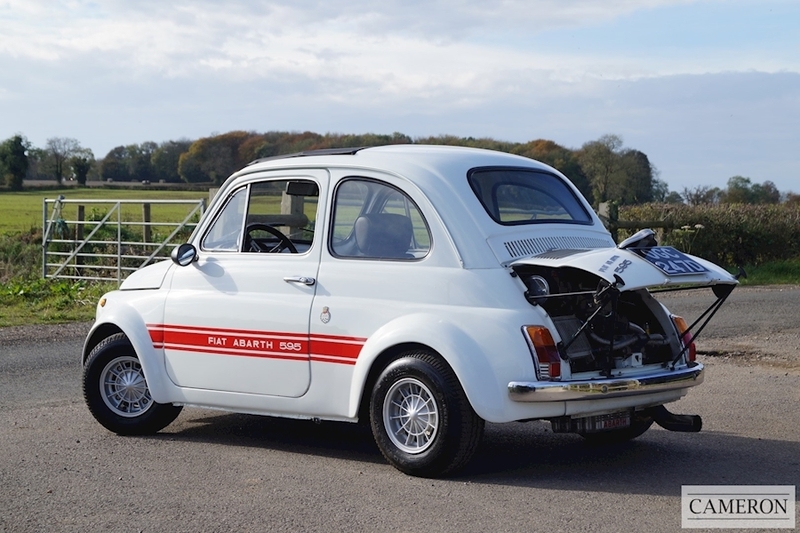 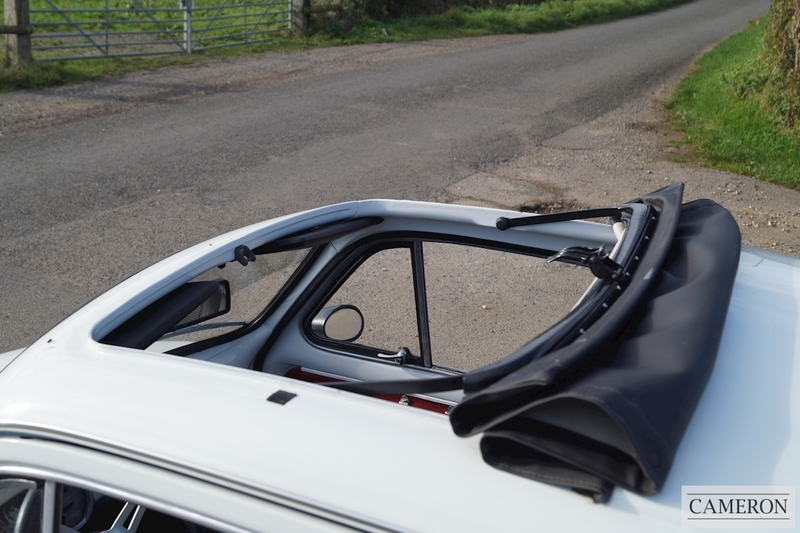 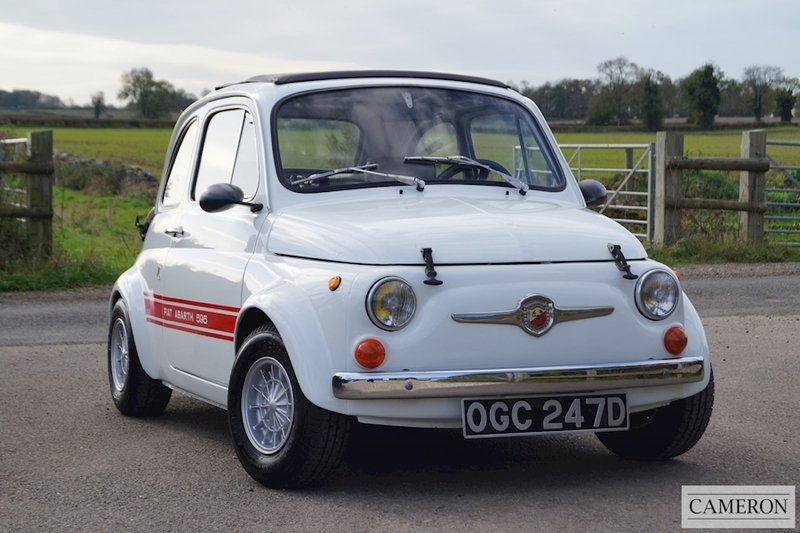 Imported from Italy in 1999 by a London-based Abarth specialist, it is the real deal albeit is currently running a super-tuned Middle Barton Garage engine. Tuning wizard, Carlo Abarth, recognised the capabilities of the air-cooled 2-cylinder Fiat engine shortly after the Nuova 500 went into production and by 1958 had produced a kit of parts that made the little car a race-winner. 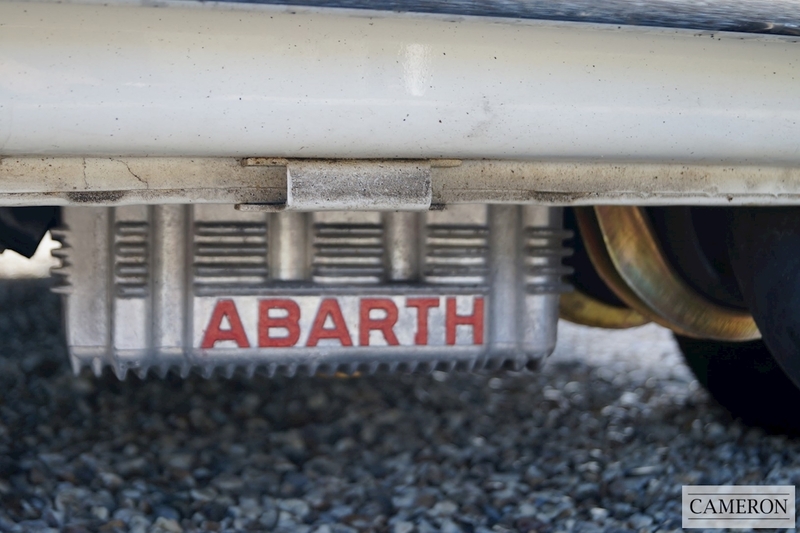 Numerous records were set at Monza that year and the following February inspiring Abarth to start designing and building his own little cars albeit with highly-tuned Fiat engines. 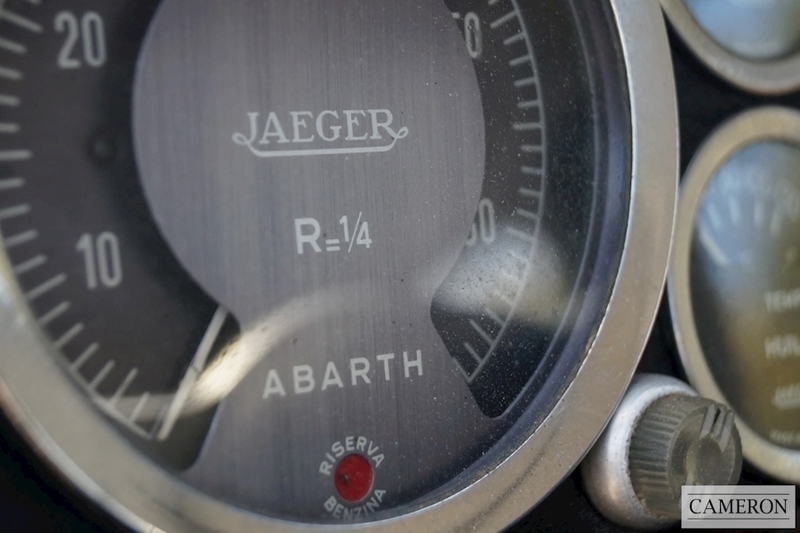 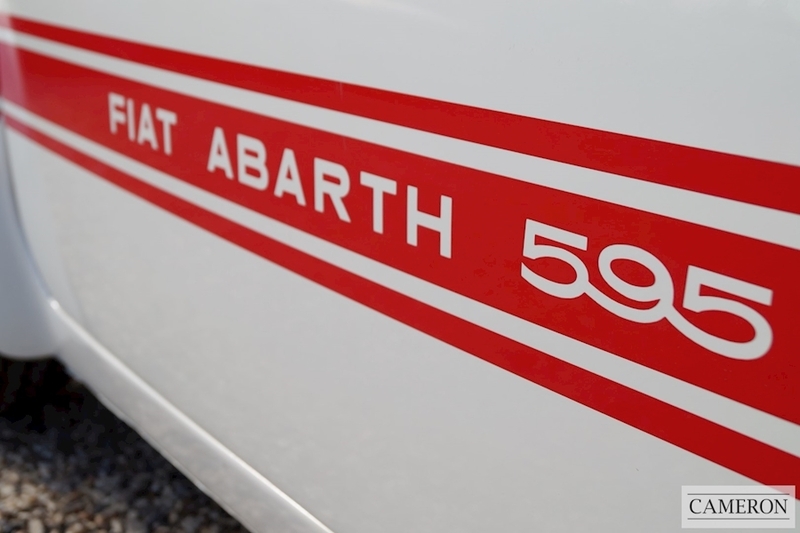 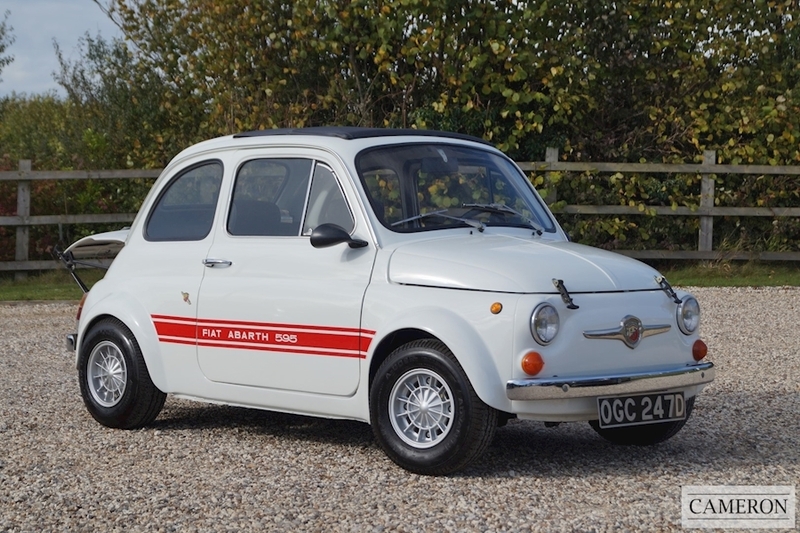 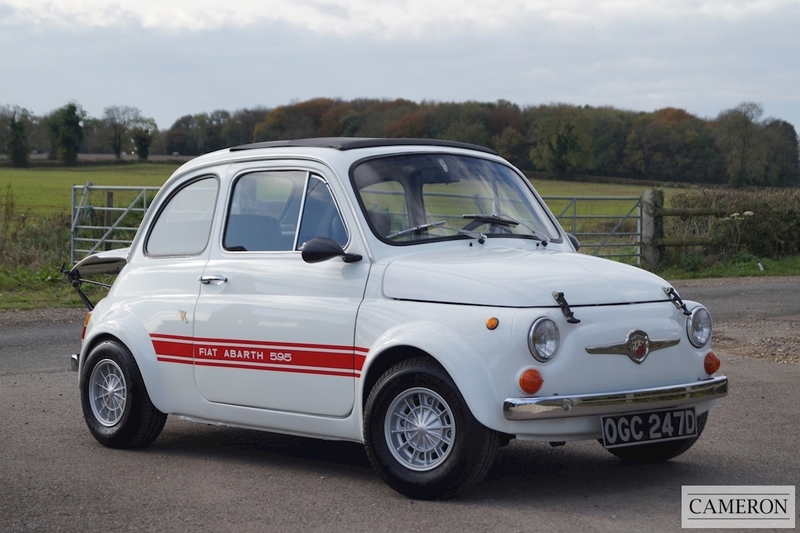 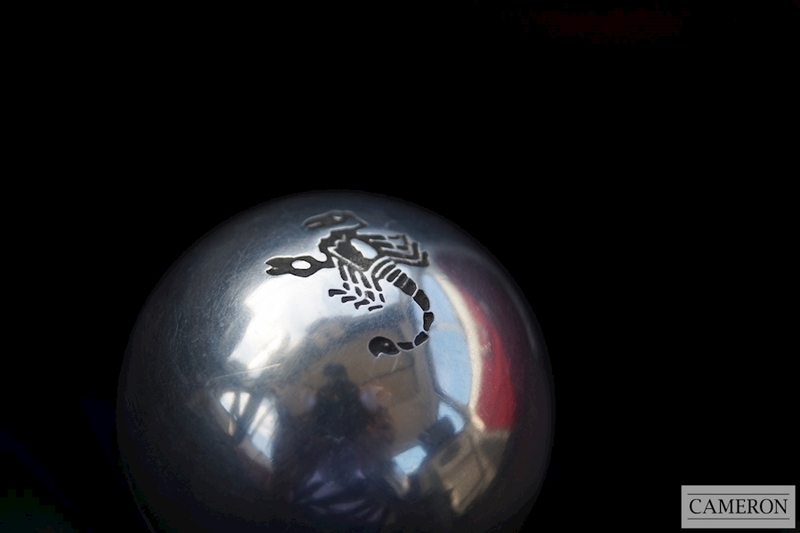 By late 1963, recognising the success of the “brand”, Fiat in conjunction with Abarth launched the very first Abarth 595, followed just months later by the 595SS and the all-out-racer, the Assetto Corsa. 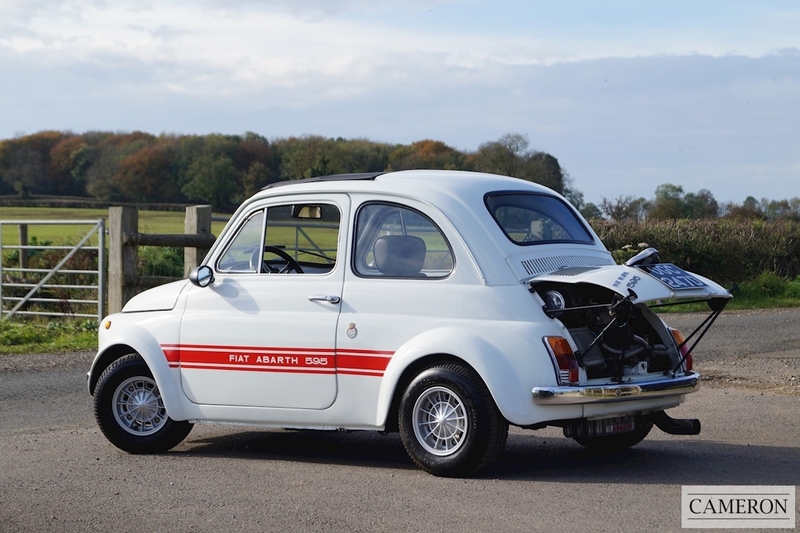 With around 32bhp, the 595SS was capable of over 80mph. 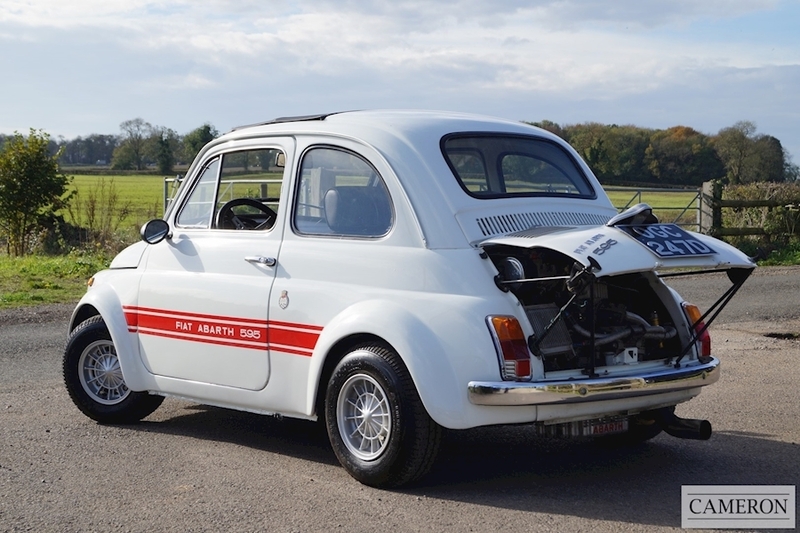 This eaxample dates from April 1966 and was imported into the UK in June 1999 by Simon Lynes of “Sting in the Tail” 500 & Abarth Specialists of Chelsea Bridge, London. 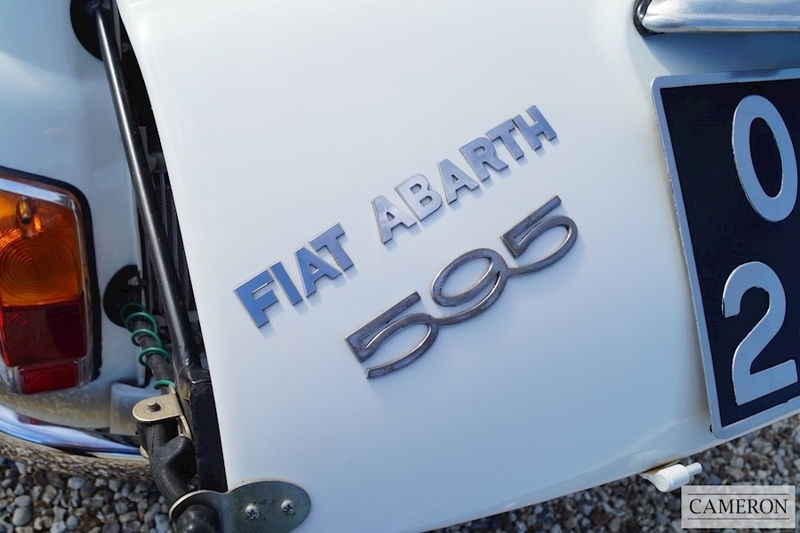 Letters from Fiat Turin and the Automobile Club D`Italia confirm the build date and the chassis number. 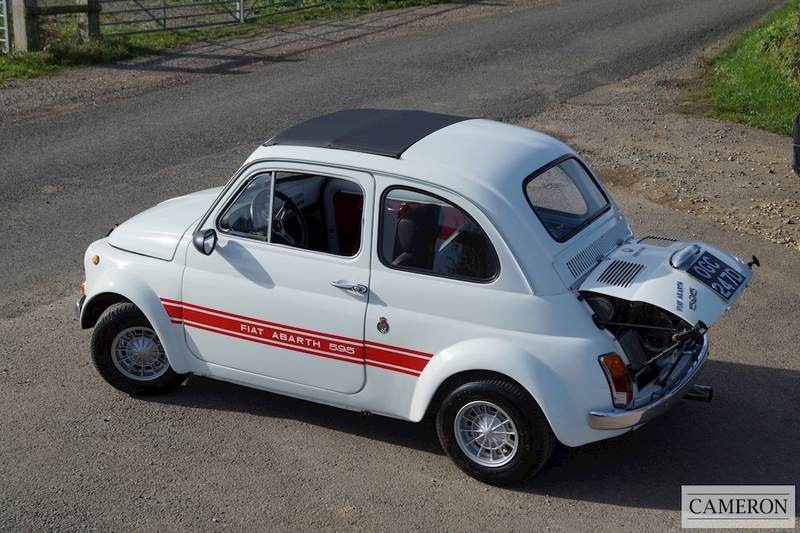 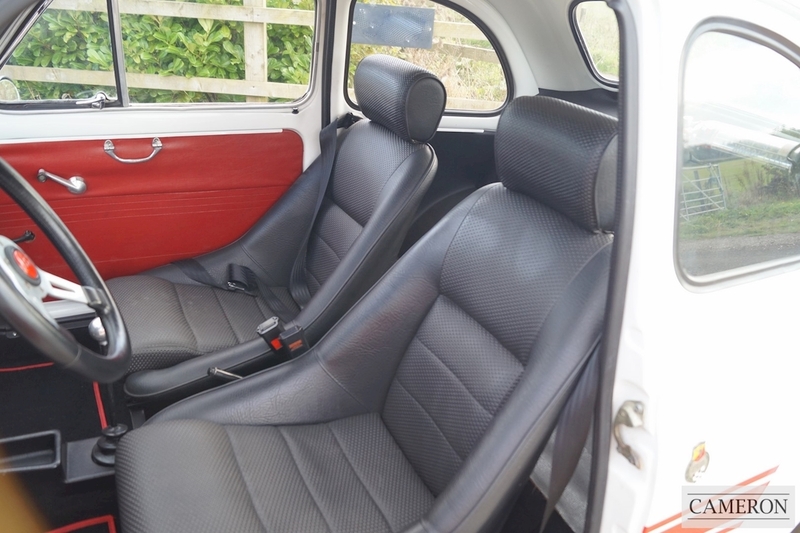 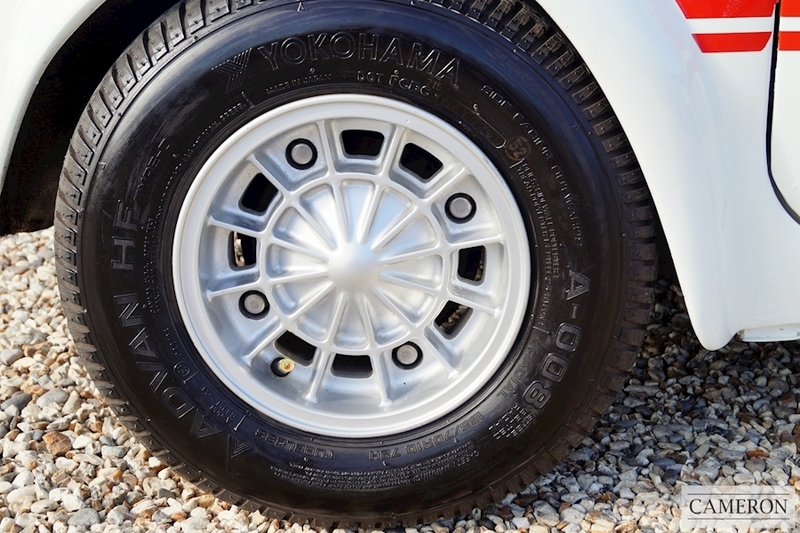 Detailing on the car is astonishing with the original 12”alloys set beneath Group 2 wheel-arches, Jaeger dials, bucket-seats and Abarth badging.